In the recent past, Amazon has emerged as the undisputedly favourite e-commerce platform for sellers compared to other strong competitors such as E-Bay. The primary reason is that with Amazon’s smart strategic growth strategy, it has come up with revolutionary ideas such as Amazon FBA which has helped profit maximizing sellers tremendously to cut down their costs and ensure a swift, cost-efficient supply of goods to their customers. Thanks to Amazon’s services such as FBA, more sellers are now willing to import goods from other countries especially China in order to earn a profit on low-cost products. Unfortunately, most sellers on Amazon are newbies or, entrepreneurs who lack the business acumen to analyze and make decisions such that they can become more cost-efficient. They decide on what looks more financially feasible on paper and pay little attention to the more complicated factors at play in the background. It is for this reason, that most sellers prefer finding suppliers in China through their own research using online tools and directing their goods from seller to the FBA facility. This helps them eliminating the cost of the middleman. However, it will be false to assume that sellers can attain maximum cost efficiency by eliminating the middleman and that middleman can increase the cost burden on the seller. Although it is true that sourcing companies such as leelinesourcing.com charge sellers a certain amount for their services, however, in the broader picture they can earn you financial and business benefits that make the additional cost worth it. Here are some ways how third-party sourcing companies can help you eliminate risks and make financial gains. When a new Amazon seller tries to look for suppliers in China remotely using online tools such as Alibaba, he is most likely to place a small order. This is because most Amazon sellers are small-scale businesses that do not stock large inventories. Moreover, sellers are more comfortable placing smaller orders to remote suppliers unless they have developed a long-term relationship with them. A small order size automatically means higher costs of production and therefore small-scale sellers fail to get the real financial benefit of sourcing goods from China. When a seller involves a sourcing company to select the supplier and place the order instead, the seller, in fact, gets greater benefit. This is because the sourcing companies have strategic partnerships with suppliers and they combine orders from multiple sellers into larger orders and get greater cost advantage which is also shared with the seller. When a sourcing company charges a seller for its services, it is not limited to sourcing suppliers and placing orders but also ancillary services such as prepping the products and running quality checks. 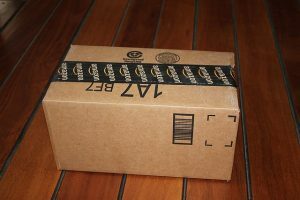 When a seller places a direct order and eliminates the sourcing company, the responsibility of prepping goods as per the Amazon FBA regulations lies with the seller. This could be extremely risky and as many Chinese suppliers already have communication issues and many of them have little knowledge about strict FBA regulations. As a result, there is a huge risk of inventory getting rejected and stuck in the fulfilment centre. Amazon FBA sourcing companies, on the other hand, are expert in this area with an established prepping setup and can help sellers avid such risks. Furthermore, redirecting goods from the supplier to FBA means the seller will not get a chance to inspect goods and run a quality check. In such a case, there is always a risk of poor quality products making it to FBA and further to the customer. Sourcing companies, on the other hand, offer inspection services where they can run thorough quality checks on seller’s behalf before they forward the goods to FBA.